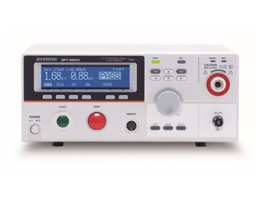 Fuseco offers wide range of Hi-Pot (Safety) Testers from GW Instek. Safety testers are designed to ensure safe operation of DUTs under various operating conditions and environment. GW Instek’s GPT-9900/GPT-9800/GPT9600 series safety testers provide safe and quick measurement tools for AC/DC withstanding voltage tests, insulation resistance tests, and AC ground bond tests. Those tests are required by many international safety regulations such as CE, UL, VDE, etc.